If you have a loved one in an assisted living or long-term care facility, you know that the most important thing to you — and them — is the ability to stay in touch. You want to check in on their well-being, and they want to be able to reach out to stay abreast of what’s going on with their family members. Thanks to improved technology, it’s much easier than it used to be to communicate in meaningful ways. The advent of smartphones and technology like FaceTime and Skype have allowed families to stay in touch in real time, 24/7, and even to see one another when separated by distance or other circumstances that prevent in-person visits. There’s no question that communication is key to the approximately 1.3 million elderly Americans live in nursing homes in the United States today. Gone are the days where families waited to get in touch with one another via landlines, or relayed messages via nursing home employees and attendants. Today, the over-65 population is more tech-savvy than ever, and they’ve taken communication with their families into their own hands. Forty-two percent of people over 65 now own a smartphone, according to data from Pew Research. It’s critical that your assisted living or long-term care facility supports residents in staying connected to their loved ones. If you’re the owner or manager of an assisted living or long-term care facility it’s your responsibility to ensure that your residents and families can communicate no matter what type of device or technology they’re using to do so. If your facility has poor cell signal, it can cause problems and frustration for families that expect to be able to stay in touch easily and seamlessly. Even in an era of stellar technological advancements, a number of assisted living and long-term care facilities are plagued by poor cell signal that impedes communication. A number of factors, including building materials and the age and location of buildings can contribute to weak or nonexistent cell signal. This can cause problems not only for families, but also for staff at your facility. When it comes to internal communication and the systems and technologies supporting resident and data security, a reliable cell signal is critical. Improving the cellular connectivity in your facility is the best move you can make to provide a higher standard of living for your residents, giving them the confidence that they’ll be able to communicate with their family members and others outside the facility as often and as easily as they’d like. But many facility owners and manager avoid the task of improving signal because they fear cost and disruption to residents. 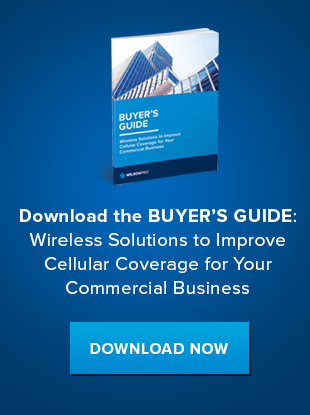 Improving the signal in your facility doesn’t have to be costly or disruptive. Cell signal boosters offer an affordable and convenient solution. These boosters use a passive distributed antenna system (passive DAS) to access existing outdoor cellular signal, bring it into your facility, and amplify it up to 32 times. Unlike traditional active DAS systems, which require networks of fiber optics to be hardwired into a building, passive DAS offers a much simpler solution, using a series of antennas exactly where they are needed to boost signal. Passive DAS solutions range from 30 cents to 70 cents per square foot, including hardware and installation, making it the more affordable option compared with traditional boosting solutions, which can range from $2 and $4 per square foot. 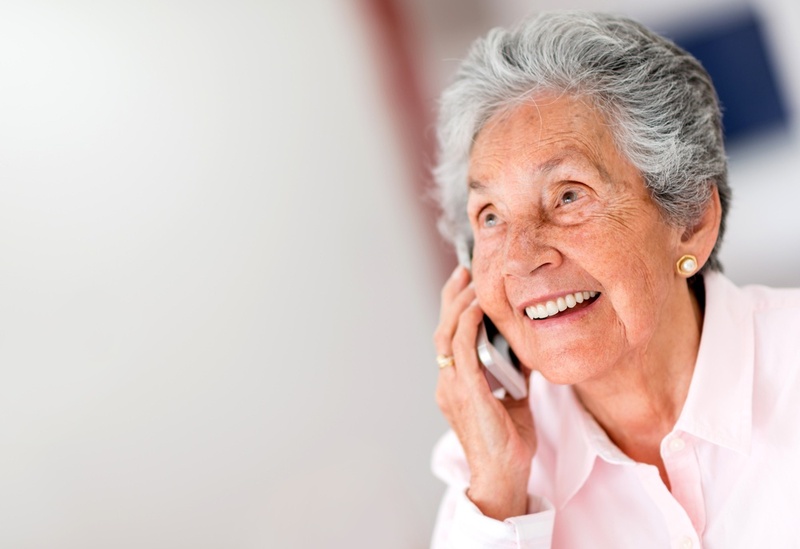 If you’d like to learn more about how you can improve the cell signal for your residents and their families, and improve the safety and service your assisted living facility provides, contact WilsonPro today.